You are here: Home » Paleo Skin? It seems to me that there are two types of people in this world: those who eat food, and those who try to convert that first group to eating Paleo. 🙂 We have all either heard about (group 1) or seen (group 2) the remarkable effects this approach to eating can have on weight and feeling of well-being, due in part to the anti-inflammatory nature of the diet, according to Paleo advocates. But what about skin on Paleo? On June 1, I began a 30-day Paleo challenge to find out…. I have been reading more and more about the links between gluten and dairy to generalized inflammation, even to autoimmune disease. I cannot help but wonder if completely cutting out all processed foods and exercising more consistently in the next month may help my skin. I am mildly acne-prone – and while the excess oil may preserve some of my skin’s youthfulness – I would love to reduce the monthly smattering of blemishes. The blocked pore and surrounding tissue become inflamed. The team then studied how the typical western diet produced the hormonal and physiological changes that result in these four known acne causes, and reverting to a Paleo diet could lessen or reverse their impacts. Since publishing his pioneering work on diet/acne, other scientists from around the word have verified it. When I practiced, patients and parents frequently asked about dietary links to acne – namely, chocolate, fast-food, gluten,and dairy. At the beginning, my standard response was that evidence does not support a connection; these are just theories. Before long, however, my tone changed. Over the years, a number of patients began telling me about improvements in their acne from eating Paleo. I also found more and more convincing information and research. I started to tell patients that we know certain foods cause organ inflammation, and inflammation is an integral part of acne production. It seems reasonable to make a connection. That said, research has yet to fully support this notion. The majority of the medical and dermatology communities in the U.S. continue to refute diet as an agent in the production of acne, with few exceptions. This dogma has persisted for over 30 years, and it continues to dominate dermatology texts. Historically, practitioners and researchers have cast the blame on heredity, hormones, and external occlusive factors (make-up, hands on face). 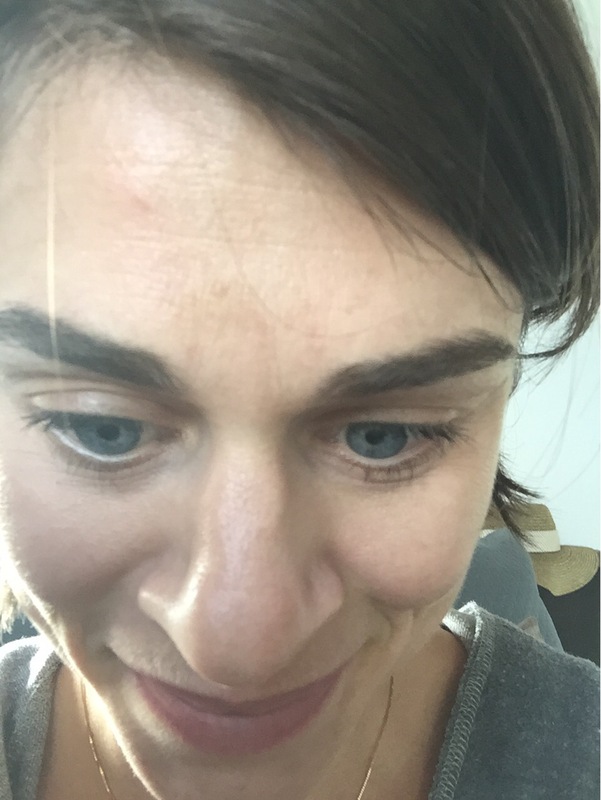 The big question here is whether eating Paleo without any change in my skin regimen will result in a decrease in acne lesions and a brighter looking complexion. I do not see much sagging in my complexion now, but perhaps I can achieve a tighter/firmer complexion over time – likely not within only 30 days. I may just need to extend my Paleo lifestyle. 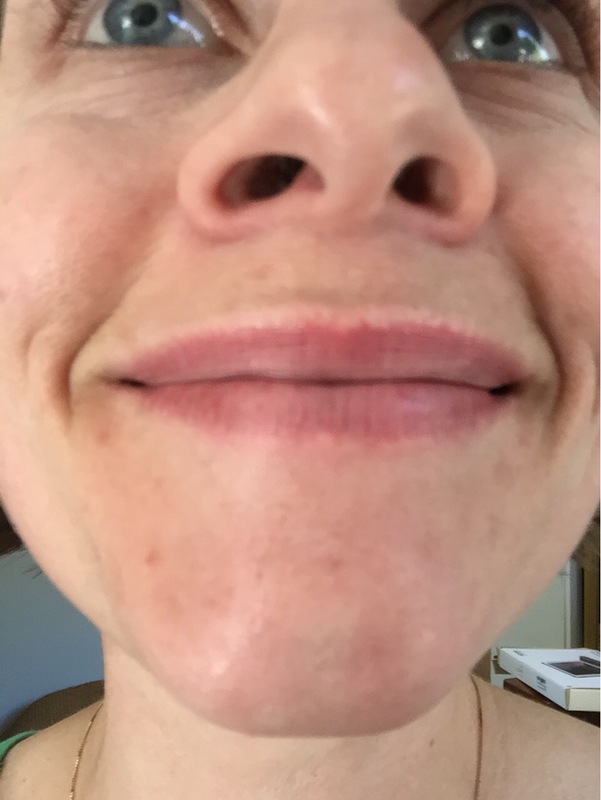 I will also exercise for at least 30 minutes per day, at least five times a week, but I don’t expect this to significantly skew my results, as I have routinely exercised throughout my life – sometimes more, sometimes less – but my mild acne has persisted. I will, however, be posting in the next few days on exercise and complexion. Tough to appreciate but lots of blackheads on and around the nose. 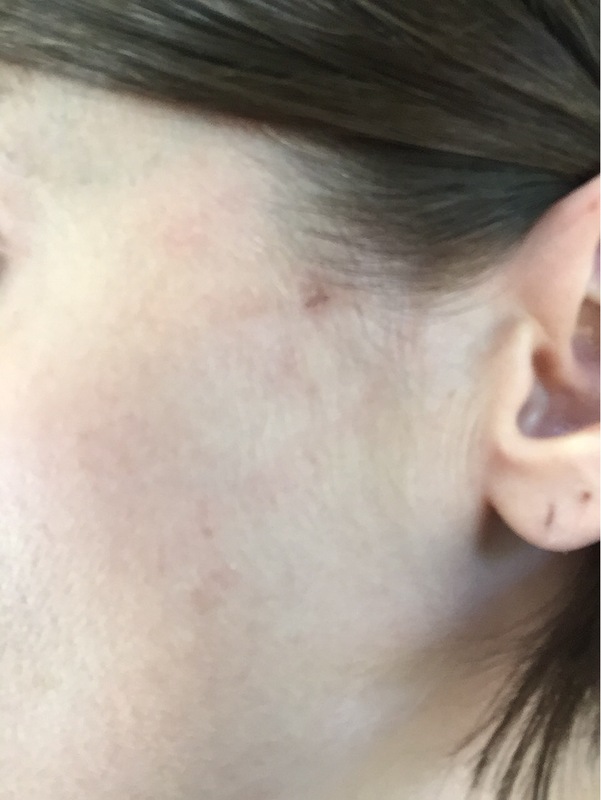 Some small blemishes on the left cheek and the left upper neck. Some small blemishes on the right cheek. Tough to appreciate but blemishes and enlarged pores on the chin. Paleo is “modern day primal living,” according to Paleo Magazine. The Paleo lifestyle developed from the study of evolutionary biology, and is premised on the notion that we should look to ancestral wisdom – from cave-dwelling Paleolithic ancestors – for insight on what foods to eat and how to live optimally. Founder, Dr. Loren Cordain, is an expert on the diet of our Stone Age ancestors and a leading authority on the evolutionary basis of diet and disease. He has written over 100 peer-reviewed scientific articles and abstracts as well as several books on Paleo. Paleo is a return to the basics – following a diet that has already proven to be tried and true, and one that is designed for our genetic make-up, not mutating it. 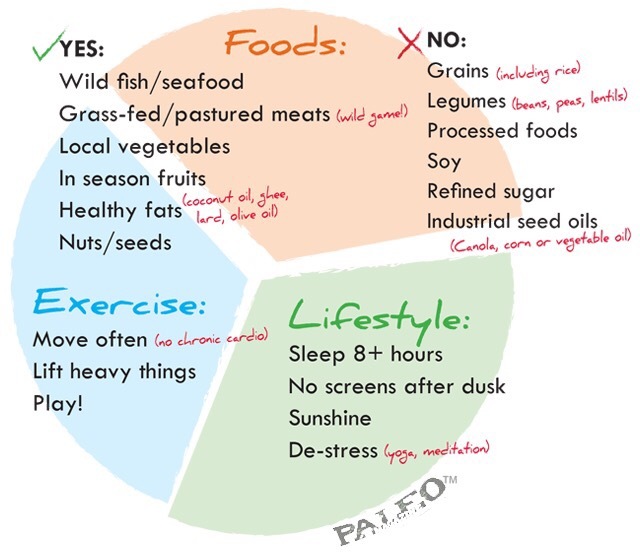 Paleo is a model for holistic healthy living. Its premise is that the advent of modern manufacturing brought “processed food-like products,” and, before long, Western diseases that now affect so many. Simply put, if our ancestors would not recognize a food in today’s supermarkets, then we should probably not consume it. The Paleo diet recommends whole, nutrient-dense foods, free from any processing with additives that are linked to health problems, such as allergies and autoimmune disorders. Devoid of food contaminants that do not belong in it, the human body is able to detox from environmental pollutants and naturally reset those basic functions necessary for a healthy system. Pastured animal fats, like lard, tallow or schmaltz, coconut oil, grass-fed ghee, or cold-pressed olive oil for cooking, baking, and flavoring. Casey, I love that you’re tracking your Paleo progress! Great idea. Keep up the good work. Stay strong, and we can celebrate with that bottle of red soon! Thanks, Tiff. I will admit that the red wine is the only “food” I’m missing!